Since the new 2012 land laws were passed, Kenya’s Lands Ministry and National Land Commission have tussled for power. Ambiguities in Kenya’s 2012 land laws have led to various problems. Credit: Samneang Lina Sin. A High Court decision regarding land deeds caused a flurry of panic in Kenya when it was announced on 19 December. The media reported Judge Joseph Onguto’s “shock ruling” in dramatic terms, claiming: “The High Court has declared that over three million land title deeds issued by the Jubilee administration since 2013 were irregularly processed and therefore illegal”. This understandably caused widespread alarm, but it was somewhat misleading. What the judge actually did was to rule that various forms issued by the Ministry of Lands to process new land transactions were invalid and unconstitutional. He stated clearly that the ruling did not operate retroactively. The judgement was nonetheless deeply significant. It was based on the fact that the Lands Minister had failed on three counts when issuing the land title deeds by: not taking into account the advice of the National Land Commission; not having public participation; and not getting parliamentary scrutiny and approval. Alert to the impact of the ruling on the value of the affected land, the judge suspended the declaration of invalidity for one year to allow the Ministry to address the situation and “avoid throwing the entire system of registration of title into disarray and chaos”. The government responded immediately, setting up a task force to report in two months and making clear they intend to meet Judge Onguto’s deadline, but this may prove harder than it seems. This High Court judgement raises a number of important constitutional issues and should be read together with the Advisory Opinion on land handed down by the Supreme Court in 2015. Both of these interventions had to be made to clarify ambiguities in the new laws passed in 2012 – the Land Act, the Land Registration Act and the National Land Commission Act – which have led to several problems. 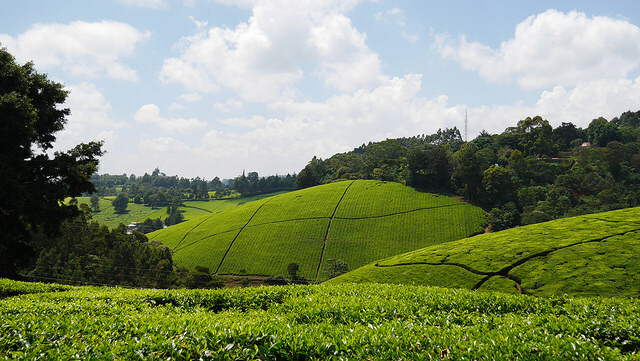 These new land laws were required by the 2010 Constitution of Kenya which provides that Parliament would revise, consolidate, and rationalise existing land laws. However, the process of developing these new laws was far from adequate. The laws were passed in haste and with minimal consultation with experts or the public. One important outcome of this imperfect process was that the National Land Commission Act 2012 failed to elaborate the role of this new independent commission, whose establishment was intended to remove centralised control from a corrupt and dysfunctional Ministry of Lands. When we spoke before the parliamentary Select Committee on Land and Natural Resources in January and February 2012, we emphasised that the legislation was poorly drafted and did not specify the duties of land administration with sufficient clarity. We pointed out that vague provisions requiring the two bodies to work in consultation and cooperation were inadequate. Indeed, since 2012, the two bodies have tussled for authority. Without clear parameters regarding their respective roles, the Ministry of Land has fought back hard against any loss of its powers, starving the independent National Land Commission of funds and staff, and seeking to control the exercise of its powers in newly-devolved counties. As a result, Kenya’s new land laws have led to less rather than more clarity. This has made it necessary to rely on the courts for guidance. The 2015 Advisory Opinion came about because the Supreme Court was asked to mediate on the relationship and responsibilities of the new National Land Commission in relation to the Lands Ministry. A similar lack of clarity relates to the issue of what amounts to adequate “public participation” in law making. The High Court criticised the Land Ministry for failing to ensure such participation. However, the courts themselves have so far been reluctant to fill in details of what public participation entails, a notable exception being the Supreme Court’s Advisory Opinion. In general, even where courts have deemed public engagement to have been insufficient, they have not elaborated on what would be needed to fulfil that constitutional duty. And typically, if any effort at all to promote participation can be evidenced before them, the judiciary has been reluctant to deem it inadequate. All this suggests that even though the High Court has granted the government a year to consult with the public, seek the input of the National Land Commission, and get parliamentary approval in order to ensure the new land titles are valid, it is still not at all clear what is actually needed to be done in practice to fulfil these requirements. Obtaining parliament’s approval should be relatively straightforward, especially since Judge Oguto observed that the forms used did not seem to be objectionable. But how the public should participate is unspecified, and participation exercises are often tokenistic. Moreover, while the court has left it to the Land Ministry and National Land Commission to respond to the ruling in a meaningful way, the longstanding wrangles for power between the two bodies do not suggest they will find it easy to work together. The critical issue remains whether these two bodies can resolve their differences now that questions of land politics and land administration have been aired in the Kenyan courts twice in as many years. Ambreena Manji is Professor of Land Law and Development at Cardiff Law School, UK. Jill Ghai is co-founder of the Katiba Institute, Nairobi.